The company has installed all the in-house facility wherein we maintain a large stock for meeting quick and massive requirements of the clients. Not just designing and manufacturing, but we make sure that the packaging of the products is also given the priority. Our packaging experts make use of quality packaging material to deliver the product undamaged. 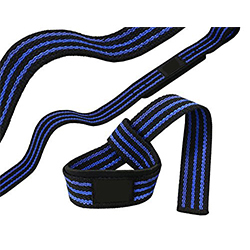 WB-303 Wrist Strap has a soft lining with a Velcro closure for a power grip.